There has always one room in our house that we’ve always struggled with, and its a pretty well used one too by all the family. Our living room is also our dining room and my home office too! A couple of years ago we invested a large corner sofa which fills up two walls of the living room space but also frames our living room space perfectly. It has given us a proper area to relax and as it’s big enough to fit us all on comfortably. It was the best decision we’ve made for this whole house renovation I think! This item is the one thing that will be staying and working around it but as it’s grey its such a neutral colour I can put pretty much any colour with it. When we moved into this house it needed renovating throughout and we tried to work the decor around the furniture items we already had. We had cream and dark wood large furniture pieces so I picked a floor that worked well with this to save money. I then won a competition with a furniture brand and was able to purchase some really good quality oak furniture which I love, however, the flooring doesn’t work at all with the furniture and this would be the first big change. 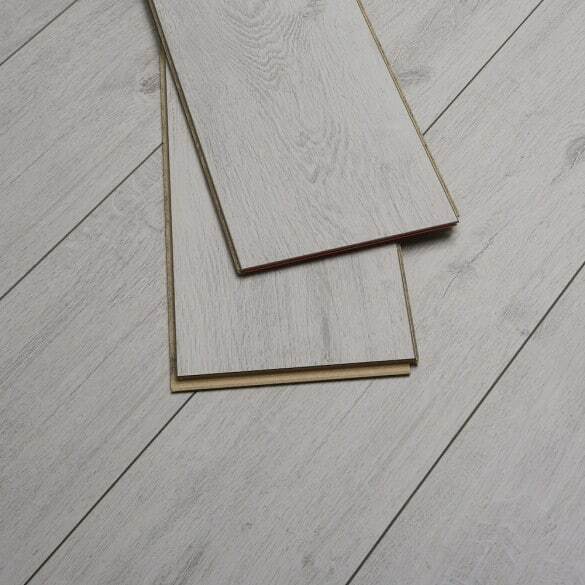 I have been looking into investing in some good quality grey laminate flooring which would be hard wearing and neutral enough to work with all the different colours, including the furniture choices in my living room. 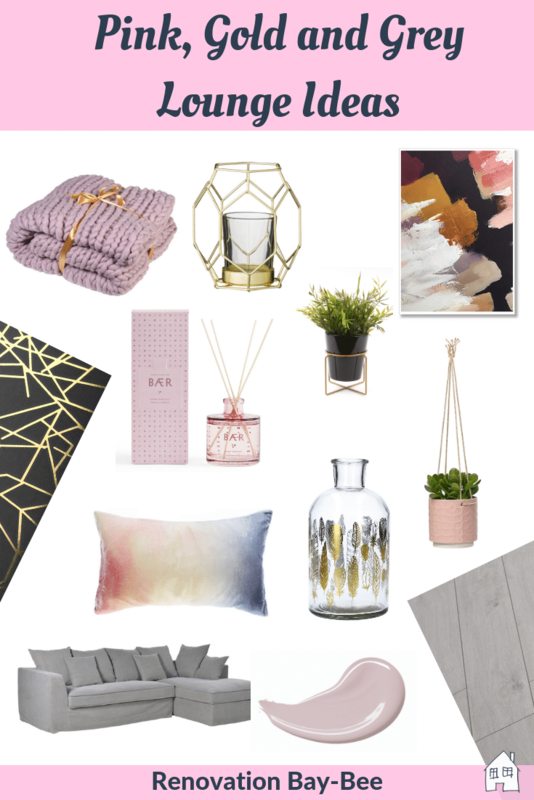 Moving onto decor colours I would love to have pink in our living room, I’m not sure I have my husband on board yet though but I think it works lovely with both gold and grey which are the colours I already have within the room. I have been looking out for some lovely pieces and there are some brilliant online shops that have such unusual items but ones that work with my current pieces and complimenting the sofa and light flooring. Did you spot any pieces you loved too? I am now itching to get my living room redecorated, how long do you think it will take to convince Kev how nice these colours go well together?! I’m in love with that lilac blush throw! So pretty isn’t it, imagine snuggling up in it?! 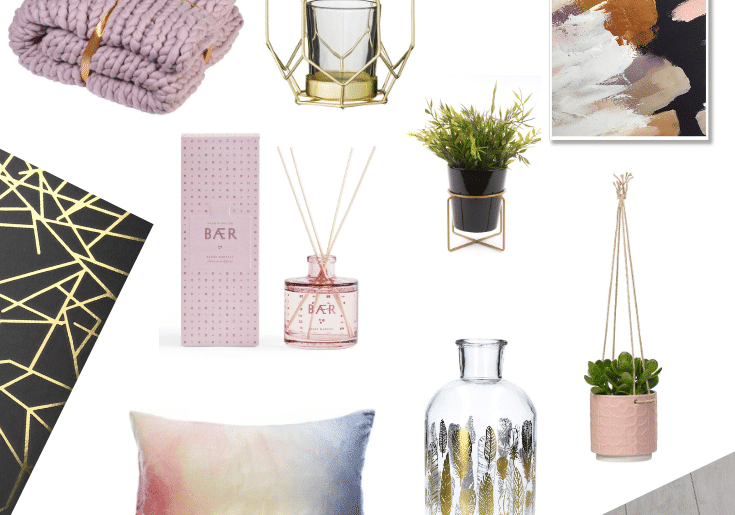 You’re right – gold and pink are the perfect colour combination with grey. Good luck convincing your husband to accept the pink, I know mine wouldn’t! Love this colour combination. It looks so cosy. You’ve picked out some lovely pieces too. Yes I think your completely right, hopefully now he’s seen this post it might change his mind! These are my absolute favourite colours! We are looking at decorating our living room but sadly I, too, have to find something that works for both me and my husband. We need two living rooms don’t we…..one for us and one for the men!! Perfect for these chillier evenings isn’t it! I love this combination of colours! We have grey as our main colour scheme and have had yellow accents for quite a while but you’ve made me realise a fancy a fresh and this is just the ticket. Thanks, maybe I’ll do it gradually and he won’t mind so much! Yeah I think I could get away with it don’t you! Oh exciting! I love a good renovation! Such a lovely colour isn’t it! Hehe I love the Swedish look so all good! I love the powder pink paint from Dulux – really nice and subtle which is right up my street!